Travel with us Back to the Future! 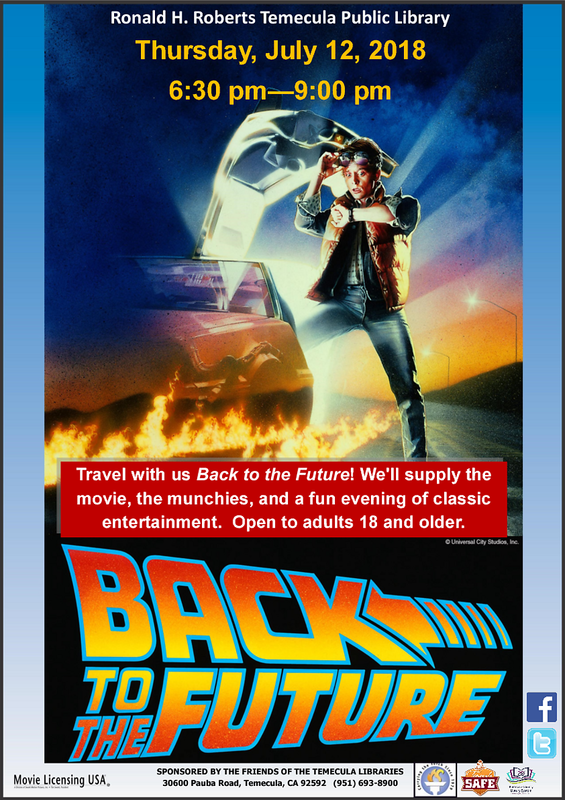 We'll supply the movie, the munchies, and a fun evening of classic entertainment. Open to adults 18 and older.